5.15 看板編: 看板や表示に一人称 I を使わないでください - dutcheez’s Fun with English! 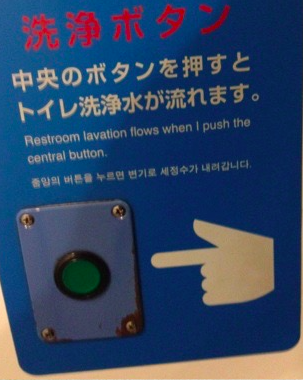 Restroom lavation flows when I push the central button. A example is displayed when I push each link. Click on any of the links below to see the examples.